The massive new volcano on the Fortnite map has “sprung a leak” just like we expected it might, leading to the all-new Limited Time Mode “Floor is Lava”. 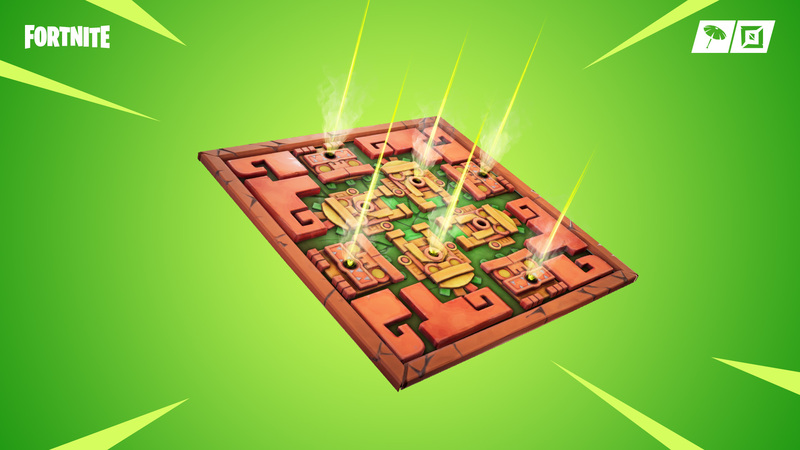 In addition, Week 5 challenges of Season 8 has brought with it a new Poison Dart Trap, tropical food that can heal you, and, of course, more challenges. 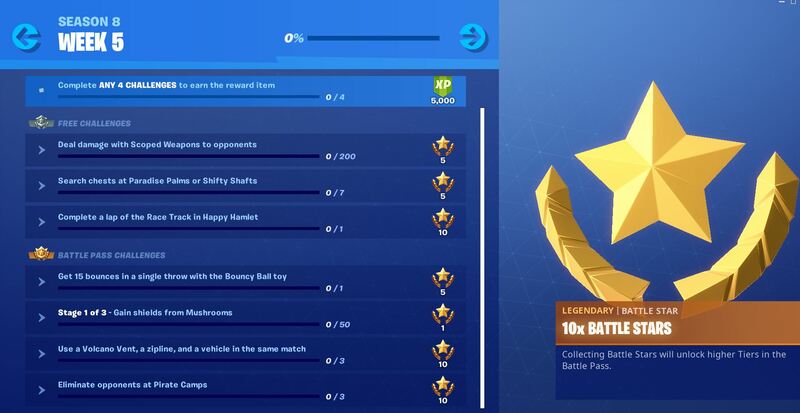 As usual, some of the week 5 challenges are for Battle Pass owners only. You can get yourself a Battle Pass with 950 V-Bucks (Fortnite’s in-game currency). We have a way for you to get discounted V-Bucks by using the cards available in the Top-Ups section of our webstore. Or you can get V-Bucks directly for Xbox One and PS4. Follow those links if you want to save yourself some money. There are some unique challenges this week, and we have guides for the toughest ones below. Have you been levelling up you Battle Pass so far this season? We hope so, because the bouncy ball you’ll need to complete this challenge can be obtained in tier 26. 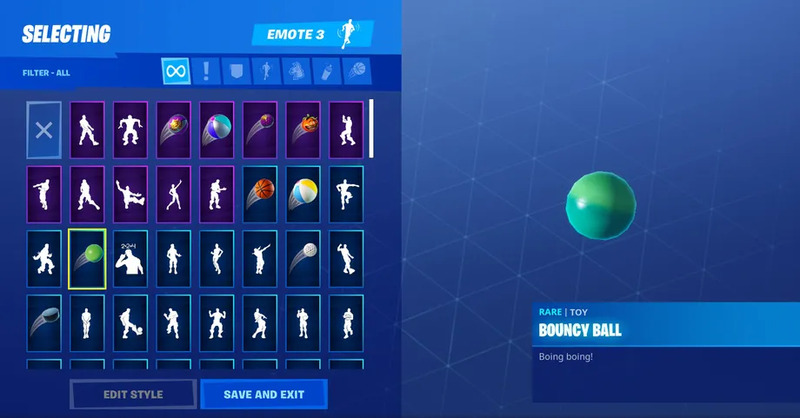 Once you’ve unlocked it, you need to equip the ball in an emote slot. As for getting 15 bounces, all you need is a small, enclosed area. You could find one that’s already part of the map, or simply farm the materials and build a small bouncy ball box for yourself. You should have no trouble getting well over 15 bounces in a tiny, four-walled fort. Eliminating players is the name of the game but finding the Pirate Camp locations can be tough if you’re not familiar with the entire map. Luckily, we’ve gone and mapped out all the Pirate Camp locations for you. If you haven’t done it yet, you’ll also need head to these camps to complete the Week 1 Challenges from this season. Honestly, this was our first time trying out the racetrack at Happy Hamlet and it was a lot of fun! Simply hop in, roll around once, and you’re done with the challenge. What was not so fun was tracking down a Baller to use while everyone else was trying to complete this challenge at the same time. Squad-up to make this task a little easier or try finding a Baller at one of the other locations on the island. 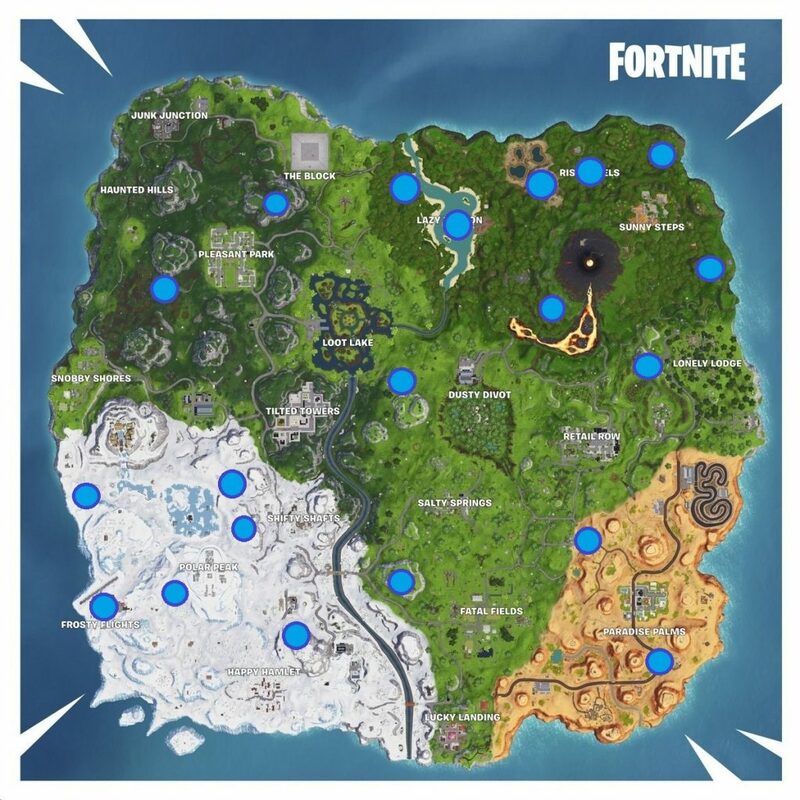 We’ve mapped out all the spots where you can find this new vehicle. Which of the week 5 challenges are you having the most trouble with? Let us know in the comments below!